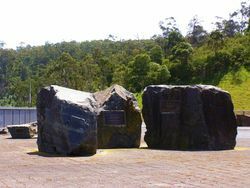 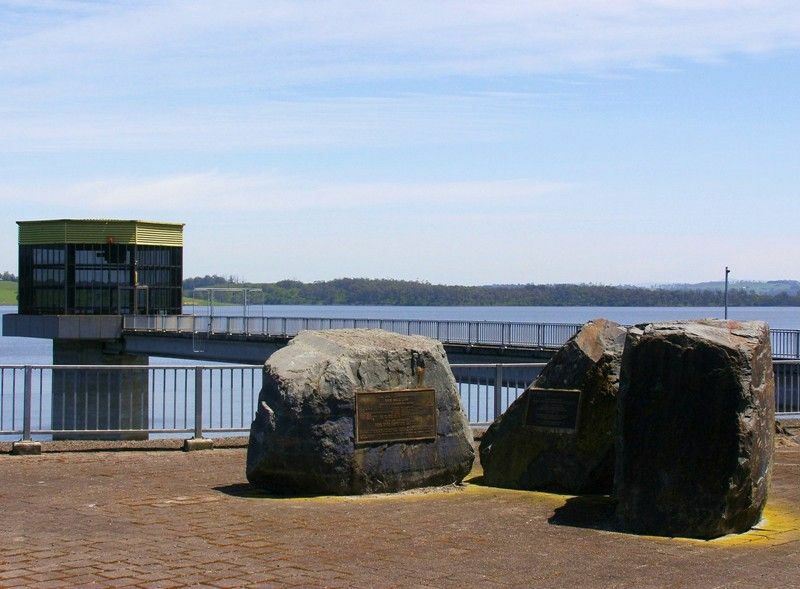 A series of plaques commemorate the opening of the dam and its construction details. 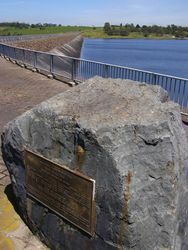 The second plaque provides details of the design and construction of the dam which was prepared by the Rural Water Commission of Victoria. 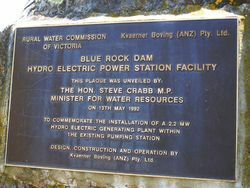 A plaque unveiled in 1992 commemorates the installation of a hydro electric generating plant. 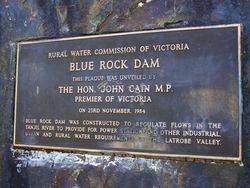 THE HON JOHN CAIN M.P.